Arms Control: For over 100 years now man has attempted to find ways to reduce the chances of warfare. Because he refuses to seek God’s help, the Bible predicts man’s efforts at arms control will eventually fail. First Geneva Convention – Established guidelines for the treatment of battle wounded soldiers, adopted in Geneva. St. Petersburg Conference – A declaration renouncing the use of certain explosives projectiles in war. An International Peace Conference is held at The Hague which gives birth to: Regulation concerning the Laws and Customs of War on Land, The Adaptation to Maritime Warfare of the Principles of the Geneva Convention of 1864, The Prohibition for five years of launching projectiles and explosives from balloons , Limits on the use of asphyxiating gases, and Limits on the use of expanding bullets. A Second International Peace Conference at The Hague is convened, which establishes several other conventions: relative to the Opening of Hostilities, the Laws and Customs of War on Land, the Rights and Duties of Neutral Powers and Persons in Case of war on Land, the Status of enemy Merchant ships at the Outbreak of Hostilities, the Conversion of Merchant Ships into War-Ships, the Laying of Automatic Submarine Contact Mines, certain Restriction with regard to the exercise of the Right of Capture of Naval war, and the Prohibition of the Discharge of Projectiles and Explosives from Balloons. A major diplomatic conference is held in Geneva, which establishes the Convention relative to the treatment of Prisoners of War. The Antarctic Treaty internationalized and demilitarized the Antarctic Continent and provided for its cooperative exploration and future use. Nuclear Test Ban Treaty, signed in Moscow by the U.S., USSR, and Great Britain, prohibited testing of nuclear weapons in space, above ground, and under water. Hot Line Agreement Bilateral agreement establishing a direct communications link between US and Soviet heads of state for use in “time of emergency.” Seeks to reduce the risk of a nuclear exchange stemming from accident, miscalculation, or surprise attack. Both sides connected by transatlantic cable and radio telegraph circuits for continuous direct communications. Updated in 1971 to include two US-USSR satellite communications circuits, along with multiple terminals in each country. 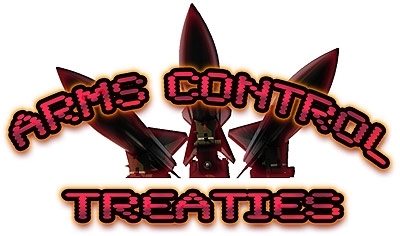 Outer Space Treaty Multilateral agreement signed and ratified between the US, USSR, and UK banning the placement of nuclear weapons or “weapons of mass destruction” in orbit around the Earth. It also prohibited the installation of nuclear weapons or “weapons of mass destruction” on the moon, on any other celestial body, or in outer space itself use of the moon or any celestial body for military purposes, including weapons testing of any kind. Non-proliferation of Nuclear Weapons Treaty, with U.S., USSR, and Great Britain as major signers, limited the spread of military nuclear technology by agreement not to assist nonnuclear nations in getting or making nuclear weapons. Sea Bed Treaty, prohibits the emplacement of nuclear weapons and other weapons of mass destruction on the seabed and the ocean floor and in the subsoil. SALT I (Strategic Arms Limitations Talks) agreement, in negotiation since 11/17/69, signed in Moscow by U.S. and USSR. In the area of defensive nuclear weapons, the treaty limited antiballistic missiles to 2 sites of 100 anti-ballistic missile launchers in each country (amended in 1974 to one site in each country). The treaty also imposed a 5-year freeze on testing and deployment of intercontinental ballistic missiles and submarine-launched ballistic missiles. An interim short-term agreement putting a ceiling on numbers of offensive nuclear weapons was also signed. SALT I was in effect until 10/77. Threshold Test Ban Treaty Bilateral, unratified agreement between the US and USSR prohibiting underground nuclear weapon tests with yield above 150 kilotons. Compliance is monitored through the use of national technical means (e.g. seismic stations outside the testing country). A protocol to the agreement specified that tests take place strictly defined testing sites and that upon ratification technical information be exchanged to improve verification procedures. Protocol on anti-ballistic missile systems (ABM Treaty Revision) and a treaty and protocol on limiting underground testing of nuclear weapons (Threshold Test Ban Treaty) was signed by U.S. and USSR in Moscow. Vladivostok Agreement announced establishing the framework for a more comprehensive agreement on offensive nuclear arms, setting the guidelines of a second SALT treaty. Peaceful Nuclear Explosions Treaty Bilateral agreement between the US and USSR prohibiting peaceful nuclear explosions which were not covered by the Threshold Test Ban Treaty (TTBT), with yields exceeding 150 kilotons and group explosions having an aggregate yield of over 1,500 kilotons, no one of which can be more than 150 kilotons. Environmental Modification Convention, an agreement with 48 signatories prohibiting the hostile use of weather modification. SALT II, signed in Vienna by the U.S. and USSR, constrained offensive nuclear weapons, limiting each side to 2,400 missile launchers and heavy bombers with that ceiling to apply until Jan. 1, 1985. The treaty also set a combined total of 1,320 ICBMs and SLBMs with multiple warheads on each side. Although approved by the U.S. Senate Foreign Relations Committee. the treaty never reached the Senate floor because Pres. Jimmy Carter withdrew his support for the treaty following the December 1979 invasion of Afghanistan by Soviet troops. Inhumane weapons convention restricted the use of certain conventional weapons which may be deemed to be excessively injurious or to have indiscriminate effects. It was signed by 35 nations. Ronald Reagan proposed 2-step plan for strategic arms reductions and announced that he had proposed to the USSR that START (Strategic Arms Reduction Talks) begin in June. Open Skies Treaty, A complex agreement that allows for the exchange of observation flights over the territories of nations that are members of the pact. START II signed by Bush and Yeltsin calling for both sides to reduce long range nuclear arsenals by approximately 1/3 over the next decade and would entirely eliminate land-based multiple-warhead missiles. Action on START II must wait until START I enters into force and then START II must be approved by the US senate and the legislature of Russia. Trilateral Nuclear Agreement – Trilateral Statement by the Presidents of the US, Russia and Ukraine. Details the procedures to transfer Ukrainian nuclear warheads to Russia and associated compensation and security assurances. Sets out simultaneous actions to transfer SS-19 and SS-24 warheads from Ukraine to Russia for dismantling and to provide compensation to Ukraine in the form of fuel assemblies for nuclear power stations, as well as security assurances to Ukraine, once START I enters into force and Ukraine becomes a non-nuclear weapon state party to the Nuclear Non-proliferation Treaty (NPT). Signed in Moscow, 14 January 1994. Treaty of Pelindaba Multilateral agreement signed by 49 of the 53 members of the Organization of African Unity pledged not to conduct research on, develop, test, or stockpile nuclear explosive devices; to prohibit the stationing of nuclear devices on their territory; to maintain the highest standards of protection of nuclear materials, facilities, and equipment; and to prohibit the dumping of radioactive waste. Comprehensive Test Ban Treaty – Multilateral agreement signed by the US, CIS, UK, and 90 non-nuclear-weapon states would ban any and all nuclear tests, big or small, above and below the Earth’s surface. It established a worldwide monitoring system – including 170 seismic stations – to check air, water and soil for signals that someone set off a nuclear explosion. President Bush formally announced that the United States was withdrawing from the Anti-ballistic Missile Treaty that it signed with the Soviet Union in 1972. May 24- The Russian Federation and the US sign the Treaty on Strategic Offensive Reductions (SORT) at the Moscow Summit, agreeing to reduce and limit strategic nuclear warheads to 1700-2200 for each Party by December 31, 2012. June 13- The unilateral withdrawal of the United States from the Anti-Ballistic Missile Treaty comes into effect. June 14- In response to the US withdrawal, the Russian Federation announces that it will no longer abide by the terms of START II. Nov 4- Cuba accedes to the NPT as a non-nuclear-weapon State. Nov 25- The Hague Code of Conduct Against Ballistic Missile Proliferation (HCOC) is launched. Under the Code, States make politically binding commitments to curb the proliferation of WMD-capable ballistic missiles and to exercise maximum restraint in developing, testing and deploying such missiles….The Code also introduced measures such as annual declarations and pre-launch notifications regarding ballistic missile and space launch programs. January 6- Libya ratifies the CTBT and accedes to the Chemical Weapons Convention (CWC). January 10- The Democratic People’s Republic of Korea announces its withdrawal from the NPT. March 10- Libya signs the Additional Protocol with the IAEA. June 1- SORT comes into force. Nov 15- Iran signs an agreement with France, Germany and the United Kingdom, in which Iran states its decision to continue and extend its suspension of all enrichment related and reprocessing activities. July 18- US President George W Bush and Prime Minister Manmohan Singh first announce their intention to enter into a nuclear agreement in Washington. May 7- Iran’s Parliament says in a letter to the United Nations, that it may have to withdraw from the Nuclear Non-Proliferation Treaty if pressure to end it’s nuclear program escalates. Dec 1– Russian President Vladimir Putin signs a law suspending Russia’s participation in the Conventional Armed Forces in Europe (CFE) treaty. Dec 12- A new international group called Global Zero, which is committed to one hundred percent elimination of nuclear weapons over the next 25 years, has enlisted world leaders as its campaign gets under way at a conference to be held in Paris on December 9. Supporters of this group include former President Jimmy Carter; former Secretary of State Lawrence Eagleburger; former Defence Secretary Frank Carlucci; former Soviet leader Mikhail Gorbachev; Shaharyar Khan, a former Pakistani foreign minister; retired Air Chief Marshal Shashindra Pal Tyagi of India; and Malcolm Rifkind, a former British foreign secretary. There are roughly 20,000+ nuclear weapons in existence globally. July 25- Russia says the next round of negotiations with the United States on a new deal to replace the Strategic Arms Reduction Treaty (START) will take place by early September. The Washington Post reported on July 6, 2010 that the New Strategic Arms Reduction Treaty (New-Start) with Russia could be his worst foreign policy mistake yet. New-START impedes missile defense, our protection from nuclear-proliferating rogue states such as Iran and North Korea. It explicitly forbids the United States from converting intercontinental ballistic missile (ICBM) silos into missile defense sites. New-START gives Russia a massive nuclear weapon advantage over the United States, strongly compromising U.S. missile shield defenses. The treaty ignores tactical nuclear weapons, where Russia outnumbers the U.S. by as much as 10 to 1. New-START Treat Passed by U.S. Senate on December 22, 2010 by a vote of 71-26 the treaty was ratified over Republican concerns and objections. Despite much opposition to the bill, President Obama signed the treaty on February 2, 2011 reducing U.S. capabilities for self-defense. Fox news reported on July 25 said that the Arms trade Treaty (ATT) could lead to perpetual attacks on the U.S. Constitution’s Second Amendment and American foreign policy. July 27: Investigative reporters for Ammoland exposed previously unpublished (hidden) documents showing that the controversial U.N. Arms Trade Treaty (ATT) also known as “the small arms treaty,” “includes gun control for private “small arms and light weapons,” as U.S. gun owners feared. ATT has been controversial from the start. Gun rights activists say that the treaty is an attempt by the Obama administration to implement gun control without having to go through Congress to do so. Fifty-eight senators, including 13 Democrats, have signed a letter in opposition to the treaty. July 28: Fox news reported that the UN had failed to reach a deal on the global arms trade treaty, and that the impact of the opposition by U.S. senators had a marked-effect on the inability to pass the treaty. But this is still an ongoing issue according to the UN. (Washington, D.C.) A new article published in the May issue of Arms Control Today finds that the world’s nine nuclear-armed states still possess more than 10,000 nuclear warheads combined, and are all seeking to modernize their arsenals. According to the article, the trend has riled a growing number of signatories to the 1968 nuclear Non-Proliferation Treaty (NPT), which obligates states to eliminate their nuclear arsenals. In July, 2015 the U.S. administration and the P5+1 powers incomprehensibly made a deal with the terrorist state of Iran. As a result, the White House will be assisting the Iranians in furthering their nuclear ambitions and will enable $150 billion to flow into the hands of this terrorist state. The United Nations adopted a resolution on October 27, 2016 to launch negotiations in 2017 on a treaty outlawing nuclear weapons. This is an to attempt to ban nuclear weapons from all nations including peaceful nations like Israel who is threatened with extinction daily. The UN does not have power over sovereign nations. Just hours before leaving office on Friday January 20, former President Barack Hussein Obama quietly released $220 million to the Palestinian Authority which would likely be used for arms to attack Israel. This is American taxpayer money that the Republican members of Congress have been blocking because of the tyrannical record of the Palestinians. President Donald Trump immediately froze the release of the money through the State Department.